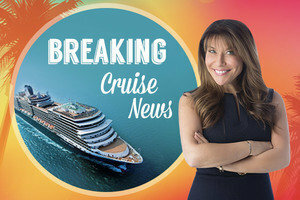 Lose Weight with Hungry Girl in 2018: Cruise Programming Announced! Cooking Demos! Join Lisa and the team up close and personal as they demonstrate how Hungry Girl kitchen essentials can help you lose/manage your weight while enjoying DELICIOUSLY healthy food with ease. Game-changing appliances, snack hacks, food finds, and more! Hot-Topic Discussion Panels! Lisa will lead these informative and life-changing sessions! Topics include emotional eating, diet saboteurs, overcoming plateaus, and adjusting to maintenance. Our panelists will share how they achieve weight-loss goals and balance. Q&As will allow you to dig deeper and leave with success-oriented tips & tricks! Supermarket Smarts! In this multimedia session on grocery shopping for success, Lisa will be joined by her good friend Robert J. Davis, PhD (a.k.a. the Healthy Skeptic). They'll cut through the confusion in the supermarket aisles and share specific plan-ahead strategies and food finds that will revolutionize your weight management. Calorie Burning Made Easy! Lisa's personal trainer, Mandee, will tackle common workout deterrents and how to outsmart them. Learn how to burn major calories and tone up without even leaving your house. She'll also be leading daily all-level workouts! Food & Fitness Myth Busting! 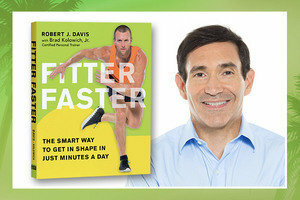 Robert J. Davis, PhD (our journey's resident health expert) will offer an eye-opening look at some surprising (often shocking!) fallacies surrounding health, food, and fitness. Today, November 30th, is the last day of National Peanut Butter Lovers’ Month. Powdered PB is one of our calorie-slashing staples… Click and read more about it! 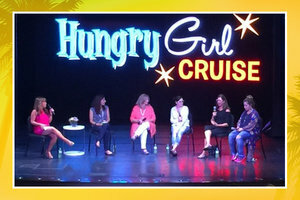 Your mom, your best pals, your favorite family members... Who will YOU bring on the Hungry Girl Cruise? Click "Send to a Friend" to see who's in!